Nighttime is often the best time to find cicadas. Nymphs, generally speaking, emerge soon after sunset. When I look for nymphs, I wait until sunset and start looking around tree roots and on tree trunks. Sometimes it takes hours, but usually, I find one (or many). Adult cicadas are easiest to find on hot, humid nights in well-lit areas like parking lots and the sides of buildings. You will find them clinging to illuminated walls and crawling on sidewalks. They end up on the ground, often because they fly into the wall and stun themselves. On a hot humid night — 85F or above — I’ll find an excuse (usually frozen desserts) to check the walls of the local supermarket for cicadas. Cicadas, like many insects, are attracted to (or confused by) lights. There are many theories as to why insects are attracted to lights, and the reasons why probably vary by species. My guess (and this is just a guess) is that cicadas can’t tell day from night, or daylight (sun) from artificial lights, and so they think they’re using light to navigate away from a dark area (a tree trunk, dense brush), and then get very confused because they never seem to get anywhere once they reach the source of the light. I wish I could ask a cicada why. If you go looking for cicadas at night, make sure you have permission to be where you plan to look. Don’t trespass, and have respect for other people’s property. Got Flagging? Report flagging and egg nests. Got flagging? Flagging happens when tree branches wilt or die due to cicada egg laying, resulting in bunches of brown leaves. 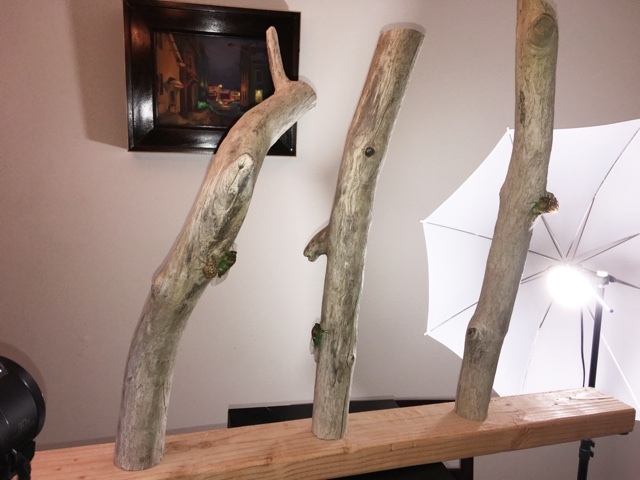 Don’t worry, this will not cause trees to die, unless they are small and weak trees. Flagging can actually do a tree a favor, by removing its weakest branches. Visit the Magicicada.org report page to report flagging (scroll towards the bottom of the form / only on Desktop for now). Want to meet other cicada fans, help with cicada science projects, or simply check out cicada photos, images, or video? Try these projects and links. In 2014, contribute your Magicicada/Periodical/17 & 13 Year cicada sightings to Magicicada.org. They will add your report to their Google map. Want to participate in a cicada citizen science project? Check out the cicada science projects on Cicada Central. There is the The Simon Lab Nymph Tracking Project and a Magicicada Biology Class Exercise. If you are in Ohio or Kentucky and spot a periodical cicada this year (2014), send a geo-tagged cellphone photo to Gene Kritsky. Your Wild Life wants your dead cicadas! They will use them to study the effects of urbanization (pollution, etc.) on the cicadas. Use hash tags like #cicadas for general cicada issues. Use @cicadamania to get my attention. Once you’re done reporting your cicada sighting to magicicada.org, head over to Facebook to discuss your cicada experiences. If you’re serious about cicadas, try the Entomology Cicadidae Yahoo group. If you want to tag a species, you can use what’s called a “machine tag” or “triple tag” (see Wikipedia article on Tags). If you’re tagging on sites that use spaces instead of commas (like flickr) put them in quotes when you enter them. The Simon Lab is dedicated to the study of cicadas, in particular, periodical cicadas. 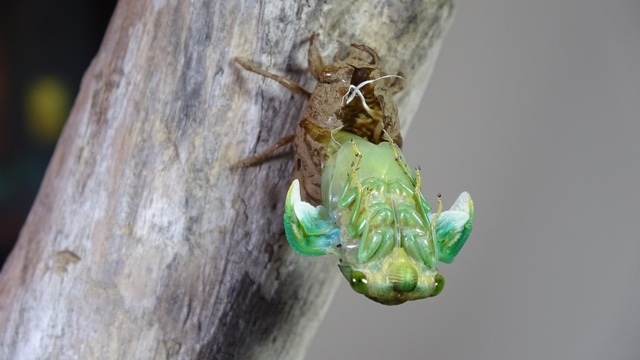 One of the things they study is the development of cicada nymphs while they are underground. They need your help to collect cicada nymph specimens. You would dig for them, and if you find them, mail them to the Simon Lab. The nymphs will be used for valuable scientific study, so the loss of a few from your yard will not be in vain. If you are interested in participating in cicada nymph research, visit The Simon Lab Nymph Tracking Project page for more information. You must have had periodical cicadas on your property in past 13 or 17 years to find the nymphs — not including the Brood II area, since those nymphs came out of the ground this year. I created a category for citizen scientist crowd sourcing projects. We at the Simon Lab are anxious to get the word out that we are very interested in finding upcoming Brood II locations with lots of flagging (broken branches and wilted stems that should turn brown in late June or July or sooner down south). When cicadas lay eggs they cause some damage to tree branches called flagging. It is easy to spot the brown patches of leaves. The Simon Lab want your sightings of flagging come the end of June and July. A form to submit your sightings will be available soon. Also we need to continue to crowd source locations of spring stragglers from any brood in any year. A straggler is a periodical cicada that emerges years in advance of the rest of its brood. Typically they emerge four years in advance. An example of this is the cicadas that emerged in Ohio this year. Please let us know if you see a periodical cicada outside the Brood II area. You can probably use this form for that. Next year (2014), folks in western New York state might see some stragglers from Brood VII (due 2018) for example. This chart will give you an idea of when stragglers can be expected. The best bet is -4 years for 17 year broods, and +4 for 13 year broods. I’ve added straggler probabilities to this brood chart. Note to self: read Periodical Cicada (Homoptera: Cicadidae) Life-Cycle Variations, the Historical Emergence Record, and the Geographic Stability of Brood Distributions by David Marshall. There will be at least one more major crowd sourcing project coming soon. Stay tuned! Are you interested in participating in a cicada citizen science project? Check out: Urban Buzz: A 17-Year Cicada Citizen Science Project. The folks behind the Your Wild Life website are hoping people will collect cicadas and send them to them for a science project to see how Urbanization impacts periodical cicadas. They want samples from forests, from cities, from suburbs, from farms – in other words, across a gradient from low to high urbanization. They have instructions on their site as to which cicadas to collect and where to send them. Time is wasting though. The 17 year cicadas will only be around so long, so you have to act fast. Gene Kritsky is one of the leading periodical cicada researchers. He’s asked that we help with his research regarding temperature and cicada emergence. He needs to know the date that cicadas first emerge, and then the date when they appear in large numbers in a given locality. To contact Gene with your findings, email him at cdarwin@aol.com. I wanted to alert you to a paper that I published with Roy after Brood XIV. I had placed sensors at cicada depths in Roy’s backyard, and also hung others in the area trees. We recorded the temperatures at 10 minute intervals at all the locations. I was trying to find a weather model to predict soil temperatures without using probes. This would be cheaper for people wanting to monitor an impending emergence. This research is based on what potato farmers do to track the growth of their crop. We found that the average of the running three day and two day mean temperatures was a good predictor of soil temps. The formula along with the extended forecast can be used to forecast soil temperatures. Once we get the 64º F soil temps and a nice rain we got emergences. I am hoping to test this model again this year, which in part is why I emailing you. What I need to know is the date that cicadas first emerge, and then the date when they appear in large numbers in a given locality. I will then use weather data to check the soil model. Can you ask readers to send me that info? Many thanks. An easier way of getting to the details is to go to www.msj.edu/cicada and click on estimating soil temperatures. That site will also link them to John’s mapping page, activities for kids, etc. Purchase his amazing book Periodical Cicadas. The Plague and the Puzzle. Read an interview with Gene Kritsky. There are two prominent cicada crowdsourcing efforts you can take part in! Throughout April there will be events where you can get to together with other cicada enthusiasts, and build cicada trackers. See their website for more details. Magicicada.org is a website where you can report and map cicada emergences in your area. I strongly suggest that everyone visits that site to report their cicada sightings. Your reports will be used to build new and better maps of the periodical cicada populations in the U.S.A.
Information needed for the report include location (GPS coordinates, or simple street address), and what you observed: was it a nymph or adult, how many were there, etc. I think they’ll even have a Google maps interface to help you locate your sighting.